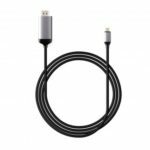 This HDMI to HDMI cable features flat design and 30cm length, can create ultra HD connections between your high speed HDMI-equipped devices. 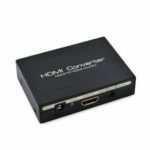 Compatible with HD TV, Blu-ray players, PS3, XBox 360, Apple TV, computer and etc. 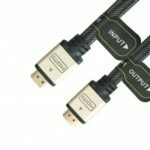 HDMI male to male cable, supports Ethernet, 3D, 4K video. 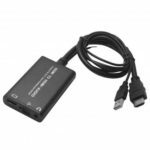 Connect your desktop or laptop with the HD display screen with this cable, deliver clear, vibrant video to you. Allows you to share an Internet connection among multiple devices without the need for a separate Ethernet cable. 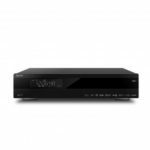 Gold plated port ensures a high quality, corrosion free connection. 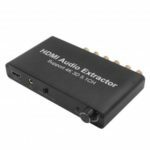 Compatible with 3D television, HDTV, PS4/3, Plasma TV, LCD TV, Bluray DVD, Apple TV, XBox 360, Xbox one and more HDMI devices. Flat design saves you from tangling cable.